Earn $53.19 in Podium Club credit (5319 points)What's This? 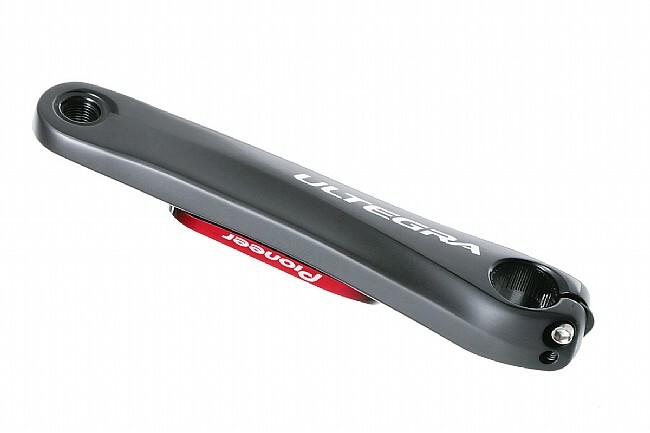 Get the edge on the rest of the peloton by swapping out your standard Ultegra 6800 non-drive crank with the Pioneer Ultegra Single Leg Power Meter. It utilizes a Lightweight Power Sensor that measures force vectors every 30° of crank rotation, or in other words, 12 points of measurement per pedal stroke, with each point recording a force and a direction. When paired up with Pioneer’s Touchscreen Cyclo-Computer, this information is analyzed and displayed in real-time to show you not only how much power you’re putting out but also, by utilizing the vector data, how efficient you’re being with your power. After all, putting out 400 watts for 20 minutes certainly sounds impressive, but it might not amount to much if you’re applying all that force in any other direction than what is optimal to spin the crank around. 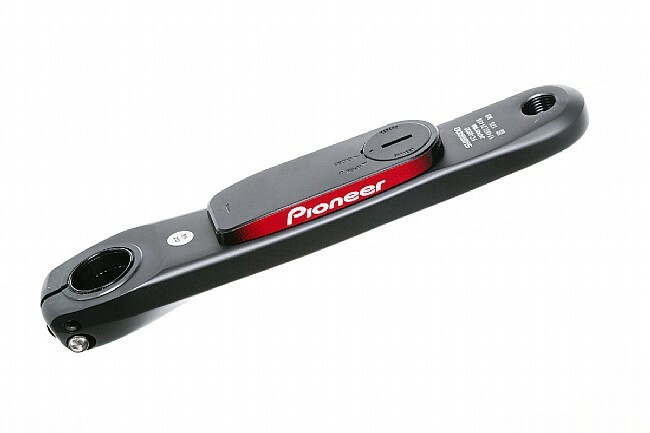 The Pioneer Lightweight Power Sensor adds just 22 g to the standard weight of the crank for a total weight of 219 g. When used with non-Pioneer ANT+ capable cycling computers, power numbers are available according to the features of the paired computer. Estimated operating time is 180 hours on one user-replaceable CR2032 battery. Available in multiple lengths. Note: The power sensor adds 9 mm to the inside width of the standard crank arm, which may cause interference on some frames. Please measure before installation to ensure compatibility and prevent frame / component damage. i'm using it on my CAAD10,after install had to remove the battery first to reboot the PM paired w my G520 calibrated initially no problems there.no magnets needed,it gives cadence and of course POWER! !set it and forget it! Really like the Pioneer power meter. Works well, provides great info to my Garmin. Also, if you plan to use a Garmin, you do not have to mount the magnets to the frame.